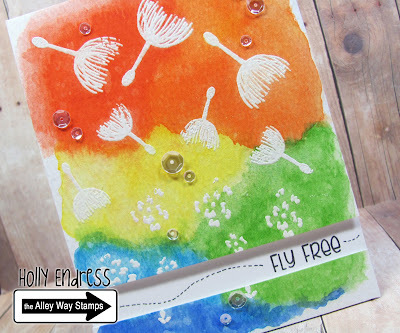 Happy Saturday everyone.. Today I have another fun card for you using one of the newest sets from the Alley Way Stamps called Wispy Wishes. I created a fun background with some Watercolors and heat embossing. I stamped the flower images onto a piece of Distress Watercolor card stock and heat embossed them in White. Then I added some watercolors using a Windsor & Newton palette. I trimmed about 1/2" off from the lower portion so the sentiment could show and I hand drew some dash doodles. I added a few Sparkling Clear Sequins from Pretty Pink Posh for some Bling. 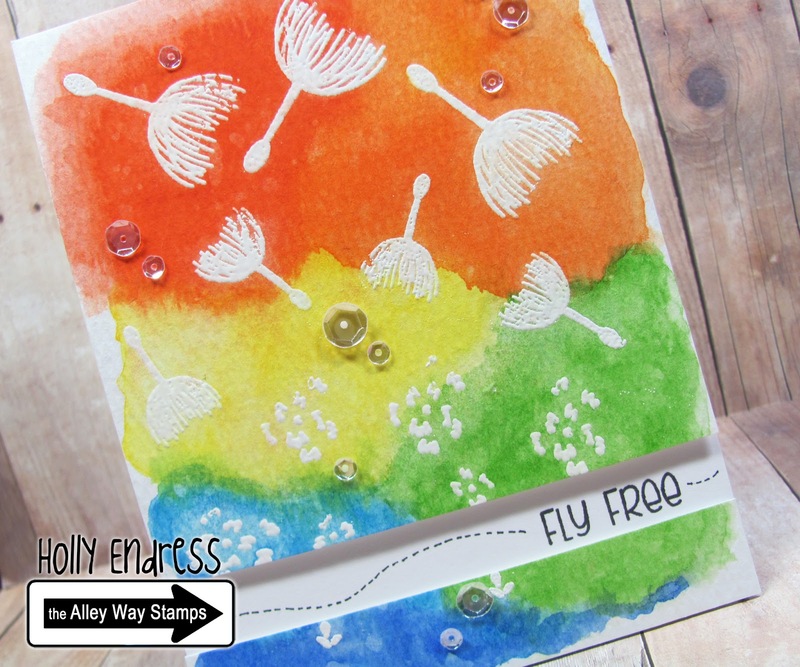 Be sure to head over to the Alley Way Stamps blog for more great inspiration from the Design Team. I absolutely love this! 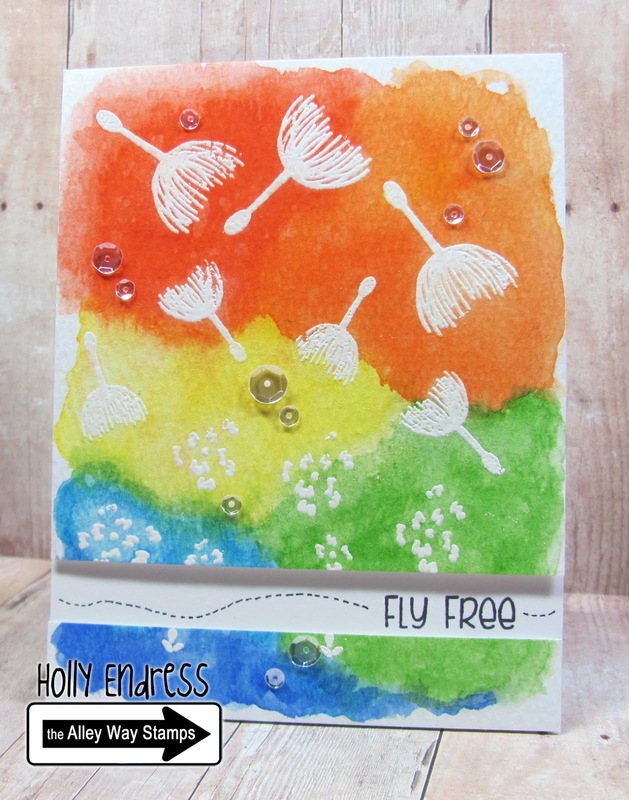 The vibrant colors contrast well with that whispy image. Fabulous card, Holly!